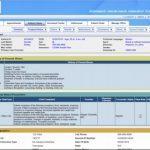 Developed by Office Ally, EHR 24/7 is a web-based electronic health records (EHR) system designed to cater to the needs of all medical specialties and sizes. This EHR system empowers physicians to offer more effective healthcare services while consecutively streamlining their office workflow. Its cloud-based nature gives practitioners an easy access to their patient records anytime and anywhere. 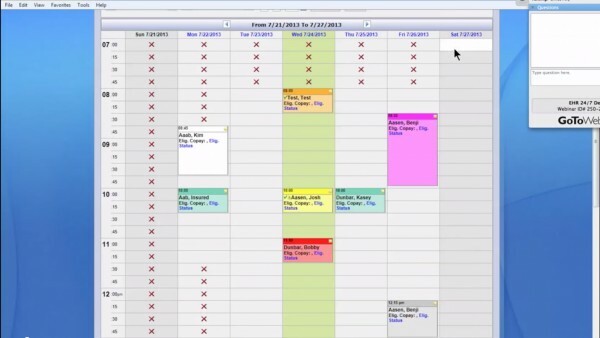 EHR 24/7 offers numerous tools that help medical practices run efficiently. 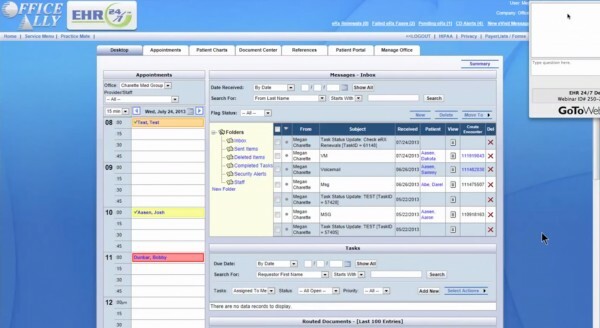 EHR 24/7 offers users to a variety of features which include SOAP notes, e-prescribing, customizable templates, patient follow-up reminders, and laboratory integration. 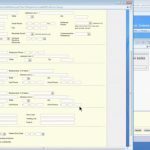 Clinicians can utilize the e-prescribing feature in sending prescriptions electronically to the pharmacy that are located near to the residence of patients. Other core benefits of this system include submission of insurance claims to over 5,000 payers, customizable design & fast implementation, free set up and training, capture Pay-for-Performance Monies, real-time results reporting and the option of being fully integrated with Office Ally’s Practice Mate™ systems. EHR 24/7 is ONC-ATCB certified and HIPAA-compliant and offers users secure login and data storage. It is also Meaningful Use Stage 2 certified. The system also HIPAA-compliant, ONC-ACB 2014 and CAQH CORE® certified. If you are a small to mid-sized practice looking for a free Electronic Health Records solution, then this might just be the system you need! 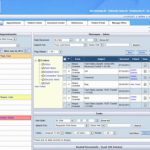 Office Ally EHR 24/7 can also integrate with several dictation platforms such as Dragon and allows users to dictate and easily attach sound files to patient charts. 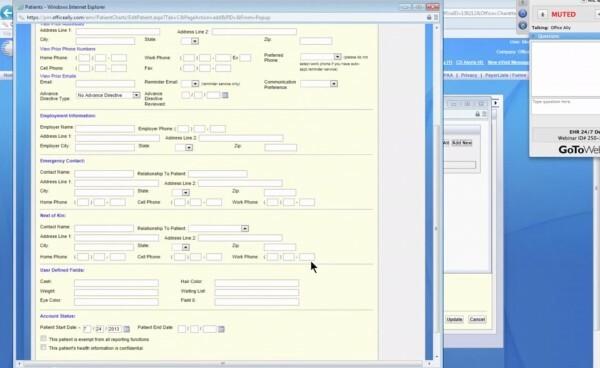 It also allows easy data entry through dictation and scanning and features customizable SOAP notes guidelines. 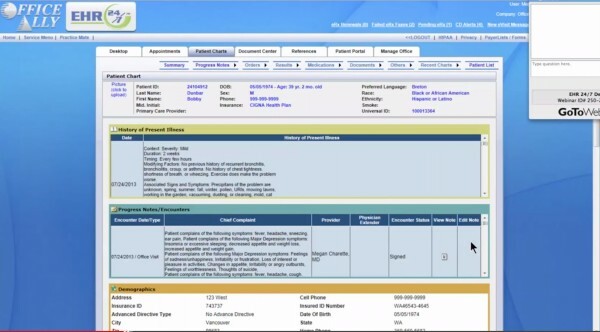 The company behind this EHR system also features a patient portal called Patient Ally, free of charge. The portal allows patients to request appointments, view their medical records, lab results and visit notes, request medication refills and communicate with their providers online. Pros: I like that er don't have to wait long on the phone to seek support and it is the system is up to date and real time claims provide great help for patients. Cons: There are no cons to it well not to my experience. Verdict: Very efficient and easy.